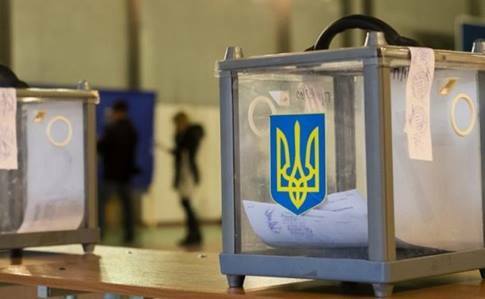 Ukraine’s Central Election Commission (CEC) has completed the registration of candidates for the post of head of state in Ukraine’s presidential election scheduled for March 31. CEC Chairwoman Tetiana Slipachuk said this at a briefing on Friday, an Ukrinform correspondent reported. “The registration of candidates ended today,” she said. According to her, the CEC registered 44 presidential candidates, including 20 self-nominees and 24 candidates nominated by political parties. Forty candidates are men and only four are women, she said. At the same time, Slipachuk said that the commission had received 92 applications from those willing to be registered as candidates for the post of head of state, while in the past presidential election campaign in 2014 there were 53 such applications. The CEC registered the following candidates for the post of head of state, in particular, Ihor Shevchenko, Serhiy Kaplin, Valentyn Nalyvaichenko, Vitaliy Skotsyk, Andriy Sadovy, Vitaliy Kupriy, Yevheniy Murayev, Anatoliy Hrytsenko, Hennadiy Balashov, Olha Bogomolets, Oleksandr Shevchenko, Roman Nasirov, Yuriy Boiko, Oleh Liashko, Arkadiy Kornatsky, Oleksandr Vilkul, Yulia Tymoshenko, Dmytro Dobromodov, Oleksandr Moroz, Illia Kyva, Ruslan Koshulynsky, Oleksandr Danyliuk, Serhiy Taruta, Volodymyr Zelensky, Ihor Smeshko, Inna Bohoslovska, Yuriy Derevianko, Mykola Habera, Roman Bezsmertny, Viktor Bondar, Viktor Kryvenko, Serhiy Kryvonos, Serhiy Nosenko, Ruslan Ryhovanov, Yuriy Tymoshenko, Vasyl Zhuravliov, Andriy Novak, Petro Poroshenko, Yuriy Karmazin, Yulia Lytvynenko, Oleksandr Vashchenko, Volodymyr Petrov, Oleksandr Soloviov, and Dmytro Hnap.